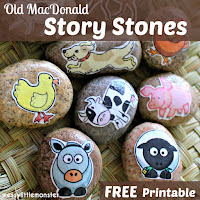 Here is a great selection of fun art techniques for kids to try. 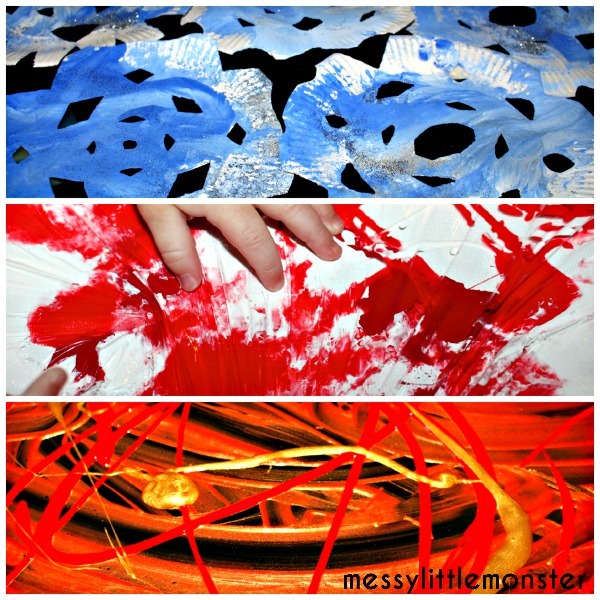 We love exploring and experimenting with different art processes, the messier the better! Here are a few of our favourite art techniques. 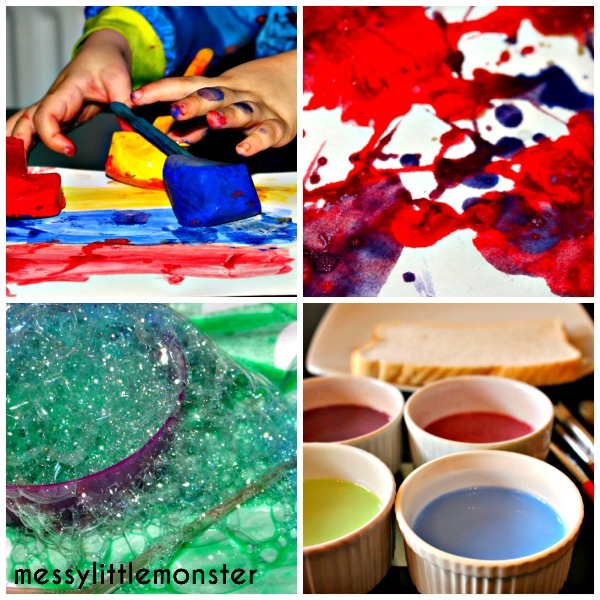 Get creative, get messy and have fun! Ice painting gives you the freedom and mess of painting but you get to experiment with freezing paint and watching it melt too. We also love these taste safe ice paints. Splatter painting is great fun and gets nice and messy. 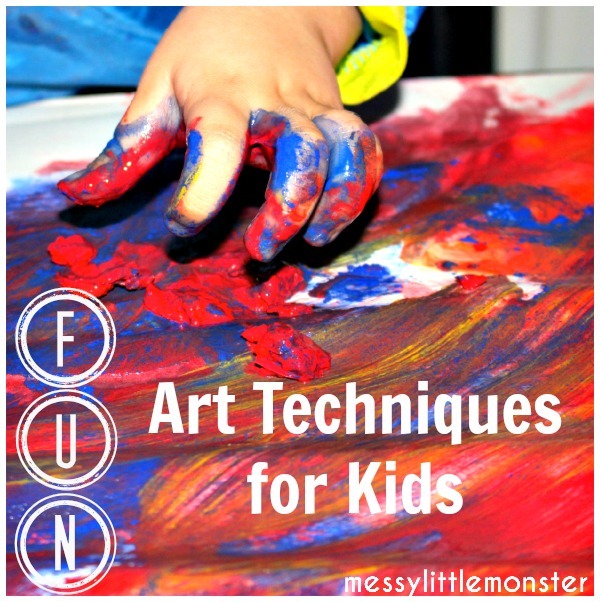 Kids love blowing bubbles so take it one step further and do some bubble painting. Enjoy eating your artwork! Paint an edible picture by painting on bread. You might also like our rainbow toast and heart shaped toast. Use cling film art to create less mess but amazing effects. 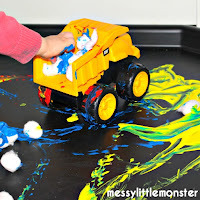 Kids will be amazed that they aren't getting messy as they squeeze and merge the paint. 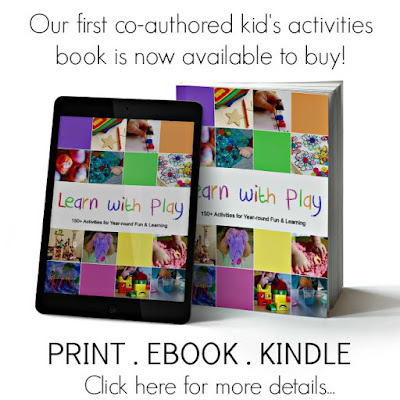 Monoprinting is extra messy which makes it all the more fun and you can create so many different one of designs. Use coffee filters and jumbo eye droppers to have a go at colour mixing. 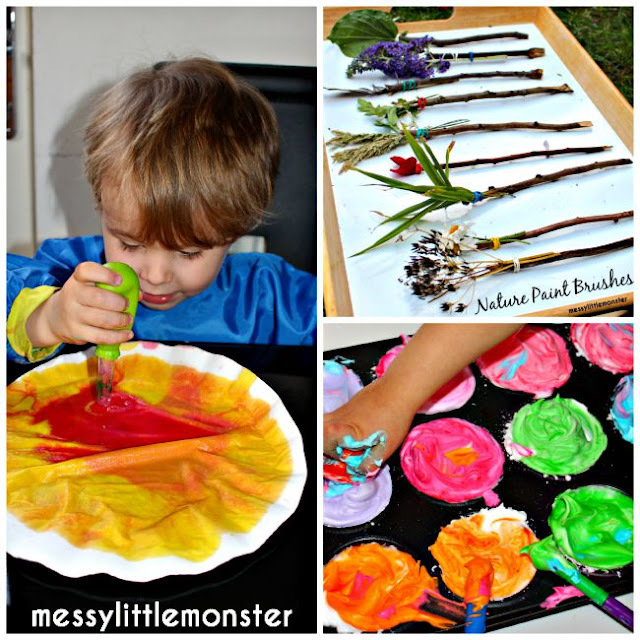 Go on a nature walk and use the nature you collect to make nature paintbrushes. 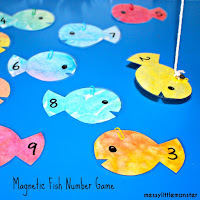 They are great fun to paint with and they made some interesting patterns. Make bath time more fun by mixing up some simple bath paints. The big questions is.....which will you try first?